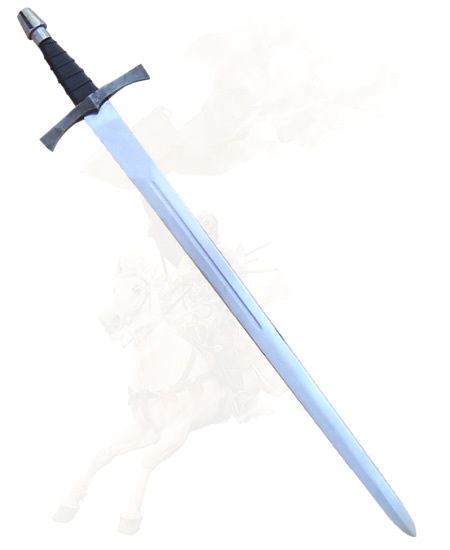 Magnificent sword with high quality hand tempered grooved high carbon 1070 steel blade , with brass cross and steel pommel, black leather wrapped hilt. Overall lenght: 97 cm (40 in); Blade Lenght: 80 cm. (31 in); Blade Widht: 4,3 cm; Blade Thickness: 4 mm.- Weight: 1.200 gr.